There are 16123 posts in this topic. You are on page 288 of 323. 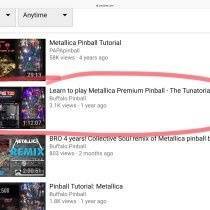 I find it amazing that this game has been out for years, and this is just coming to light ! Ok, is this just for color dmd, or the red dot display too? Both posts above reference the color dmd. You have answered my question, thank you! 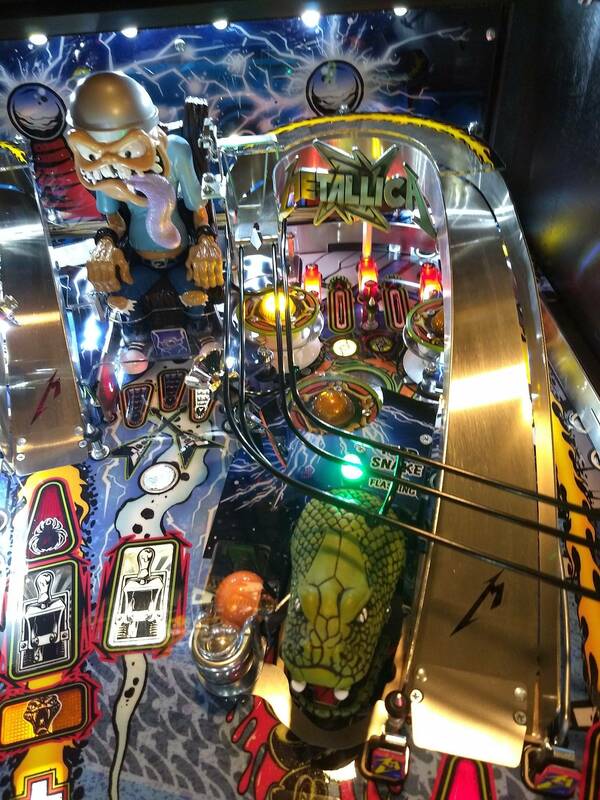 But the cross is still all over the playfield. Or is that changed, too? That part I don't know. I've got an odd issue with my MET that I've been living with since I got it but today things escalated . Occasionally/rarely (1 in 20/30 games kind of thing) within the ball save timer a second ball will kick out as if I had drained the first one, but I haven't... I could live with this as I'd just let one ball drain and move along. Today however a little past the ball save timer my ball ended while it was still in play... my flippers died, the ball bounced around and then I just kept playing the ball in play but it was now ball two... weird. Any suggestions on where to look? 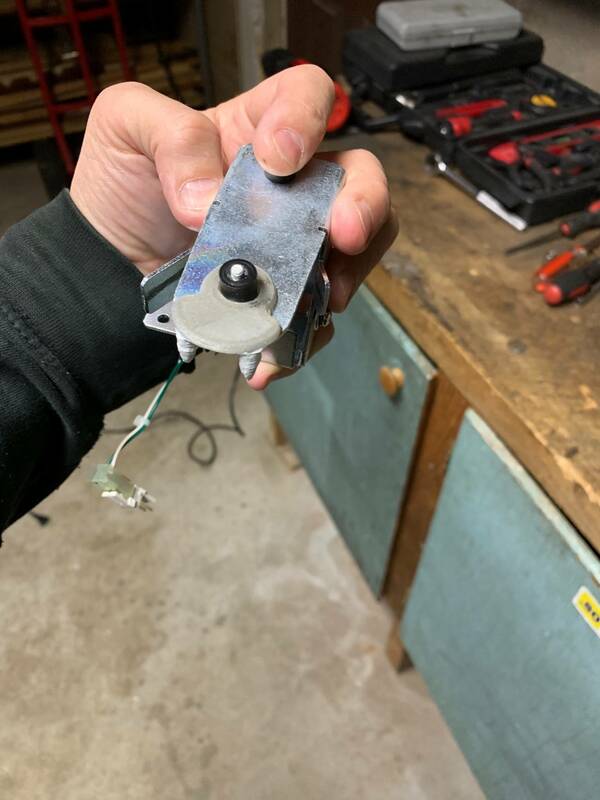 Reseat your trough opto connectors. 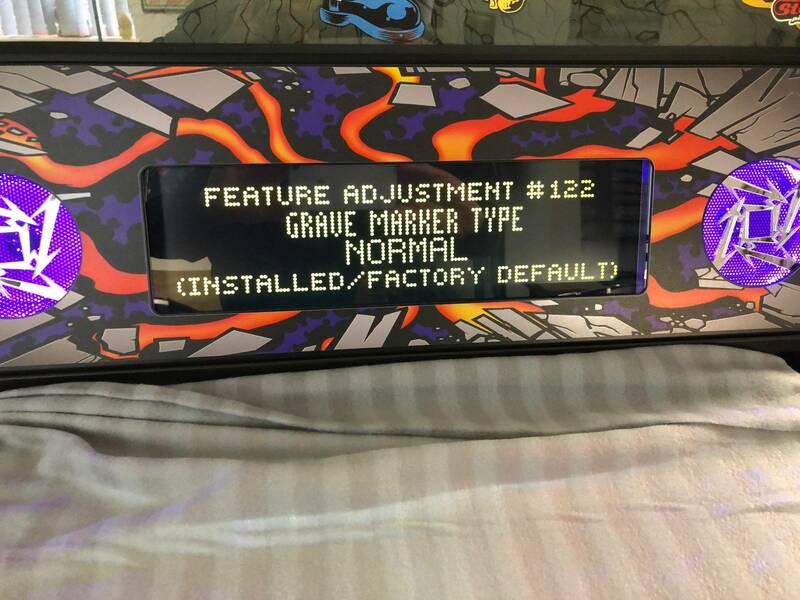 Just so I’m clear, the game adjustment for grave marker type changes what? The animation for the grave marker for normal would be the cross and RIP for the tombstone? I think it's because the cross is seen as a christian symbol and that isn't acceptable with some other countries. It's probably a setting so the game isn't banned in those other countries. 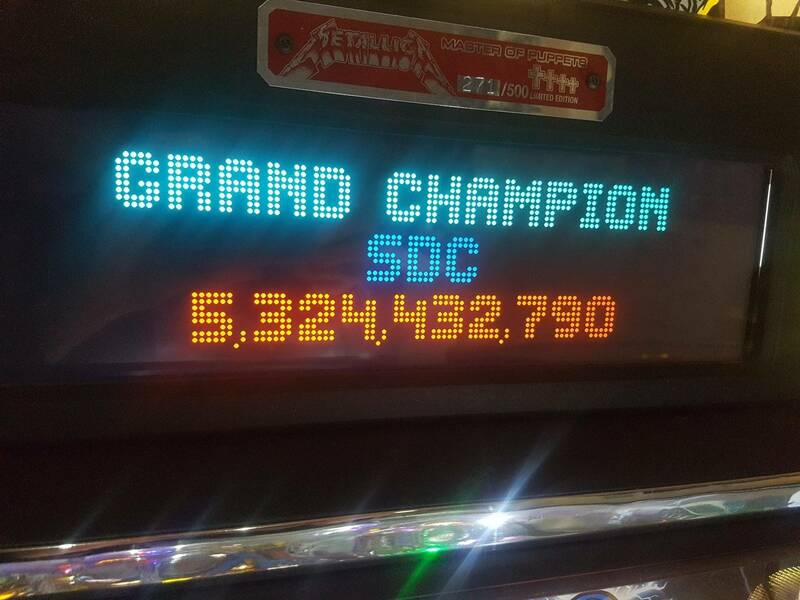 Did you manage to ask the ColorDMD guys about this? I’ll bet a fair chunk of us with MET also have a ColorDMD, and also want to try this option now, just because you pointed it out, and we can. Hate to tell you but I bet your balls are magnetized. I never had issues with mine. Replaced my balls and after maybe a dozen or so plays had issues as you are describing.....change the balls. That’s what I did and all back to normal. Interesting, I also changed balls recently before this problem. 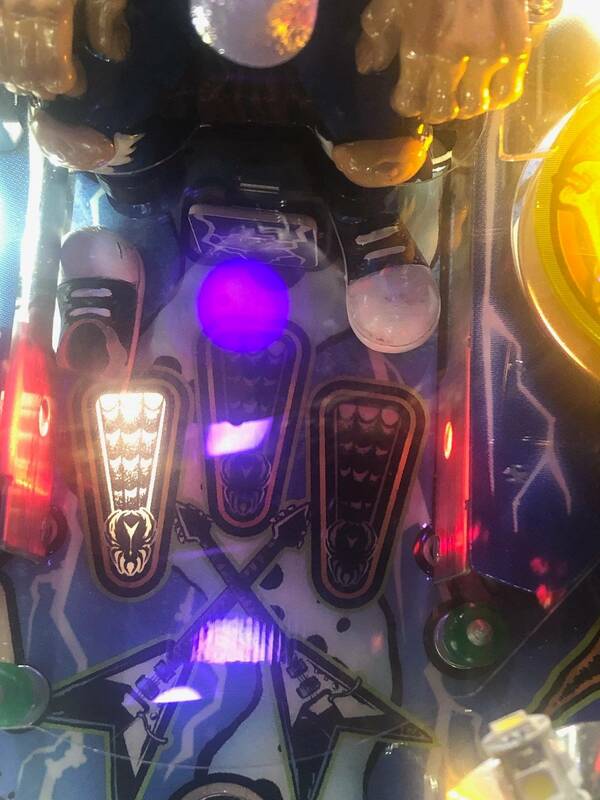 This easy enough to fix but I wish I wouldn't have bought 50 of the balls that aren't supposed to magnetize easily from pinball life. 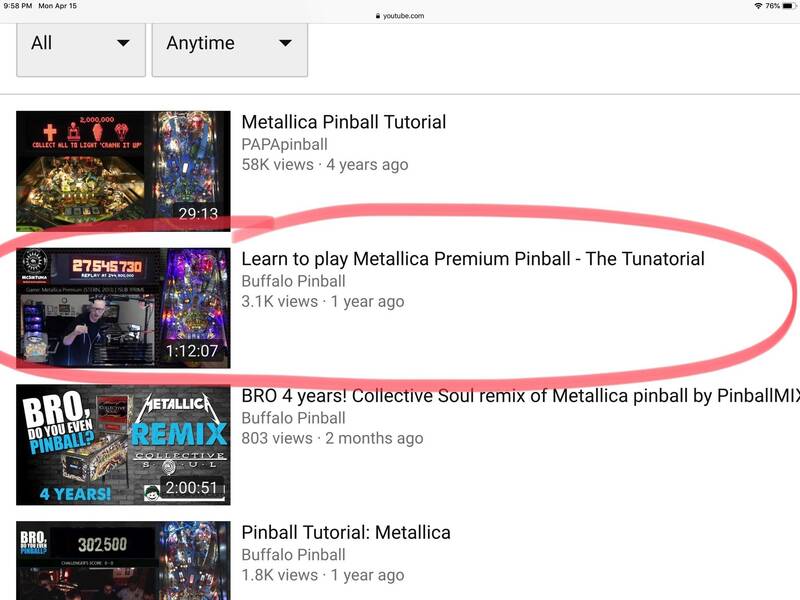 What kind of pinballs are you using? Well don’t assume they are magnetized. Test them. Line them up on a table and check. Don’t want to waste 50 balls if they aren’t the problem. 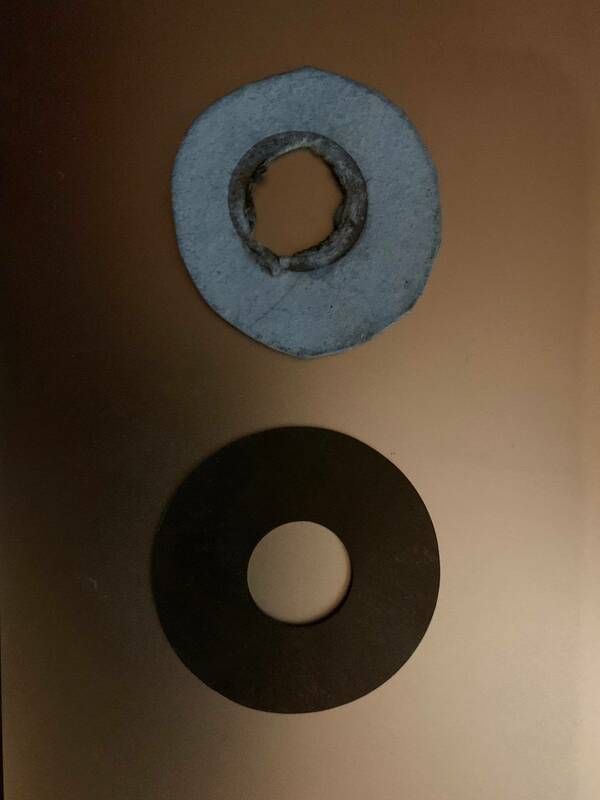 Even if the balls are slightly magnetized it can be enough to cause problems. 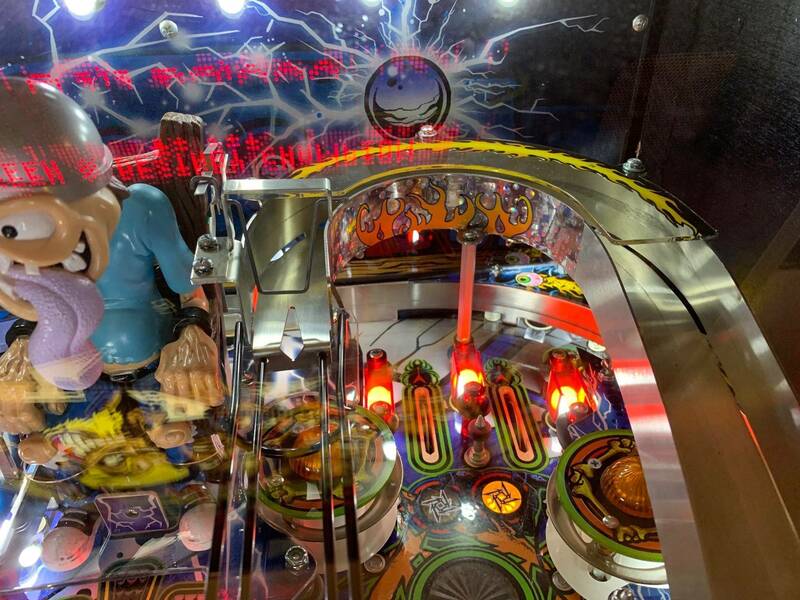 Balls would be stuck in coffin lock when multiball was started and would only release when the game was finally over. That is not a trough issue so I knew right away that’s what it was because I had changed my balls and it was only about a dozen plays later that it started happening. No good I way I know of to demagnetize the balls....just buy new ones and make SURE you get the correct ones.....read the description of the balls you are buying and it will tell you if they are good for games with magnets. Ball Baron has good balls...just look and you will find the standard carbon core balls I believe...do not get premium balls. Just read the description of the balls and you will find the correct ones. Titan is what I use and have never had issues. 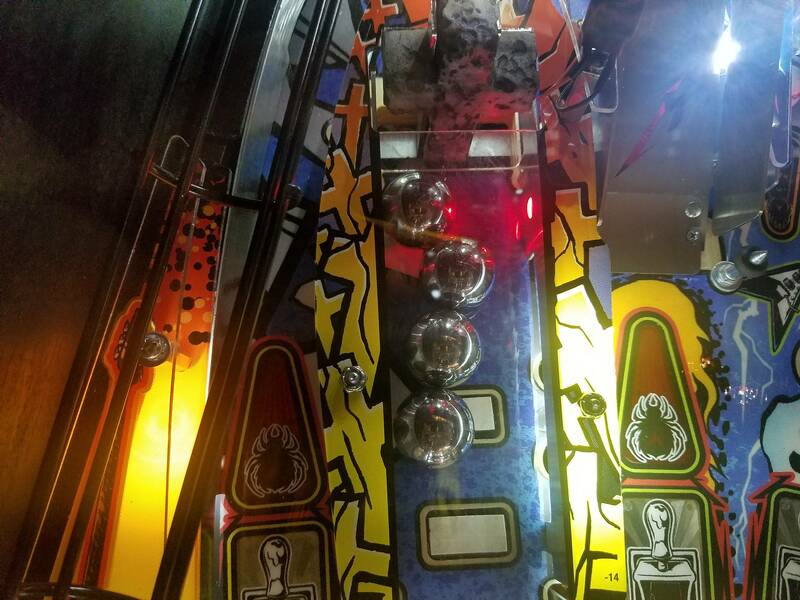 The balls I got from pinball life were the carbon core style unless they sent the wrong ones by accident? I'll try some from ball baron. I'm just glad its a simple fix. Thanks for all your help!!! I second this. I just bought some 2 months ago and so far so good. The Ball Baron is working on one last I heard. Titan is also good. Both vendors post on pinside and will respond to any questions regarding balls if you need to reach out to them. 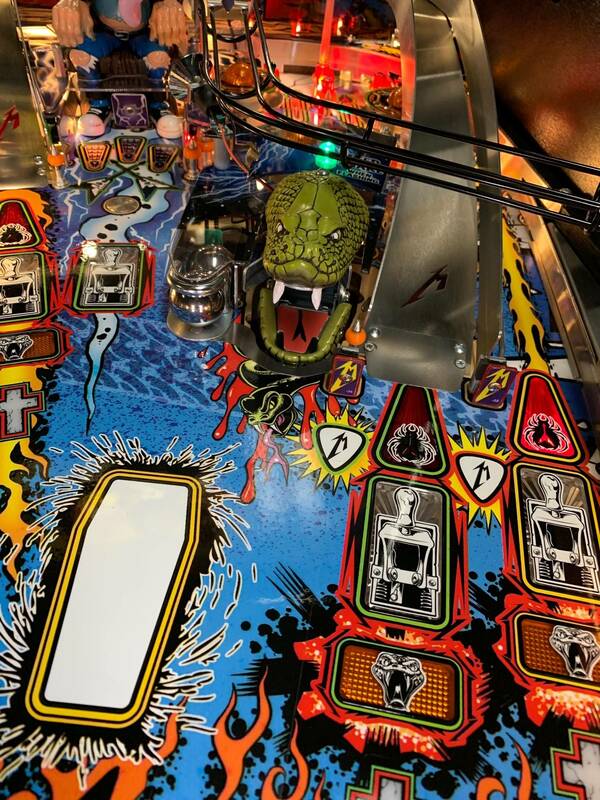 The balls we wish would come back are the super shiny that Pinball Life used to stock. Those were shiny and carbon core....never had issues using those. But I will say the carbon balls I got from Ball Baron were pretty shiny so no issues with them at all. In the big picture balls are cheap so it’s regular maintenance...change mine out once or twice a year as needed when I clean and wax. I thought ball barons were the best? 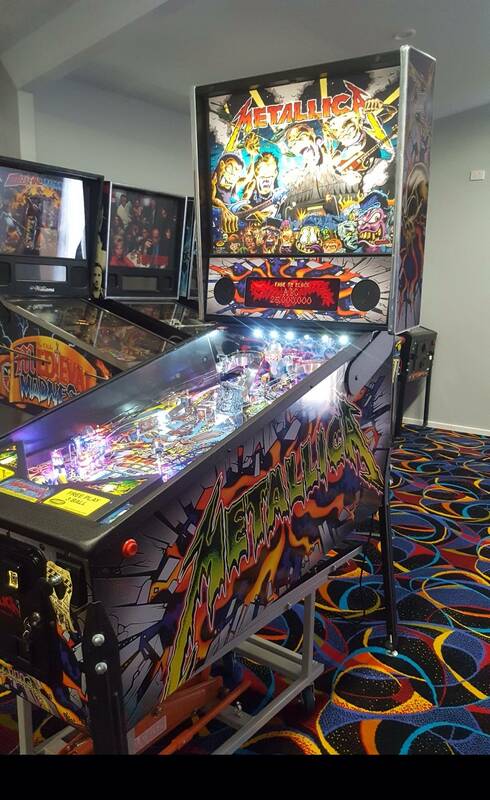 Ive always used Pinball Life balls and have never had a problem yet with them, guess i will just stick with those. Same experience for me. Factory Stern balls magnetized pretty quickly. Replaced with Ball Barron shiny chrome. Those magnetized on short order. Caused all kinds of problems. I even managed to get *all four* stuck in the graveyard trying to collect the super on the MB. I had to pull the glass to get them dislodged. That sucked. I recently replaced with Ball Barron carbon core and have not had any problems after a hundred or so plays. If you have this kit installed, please tell me how you've wired it regarding scoring. HOP describes the kit as "tied to pic target hits." That's confusing to me. A good thump on a spinner can score more than a dozen switch hits. How does the code handle a dozen pic target hits at once? I mean, if I start a MB and I want pic target hits ASAP as part of my add-a-ball effort, I need each pic target in each position. 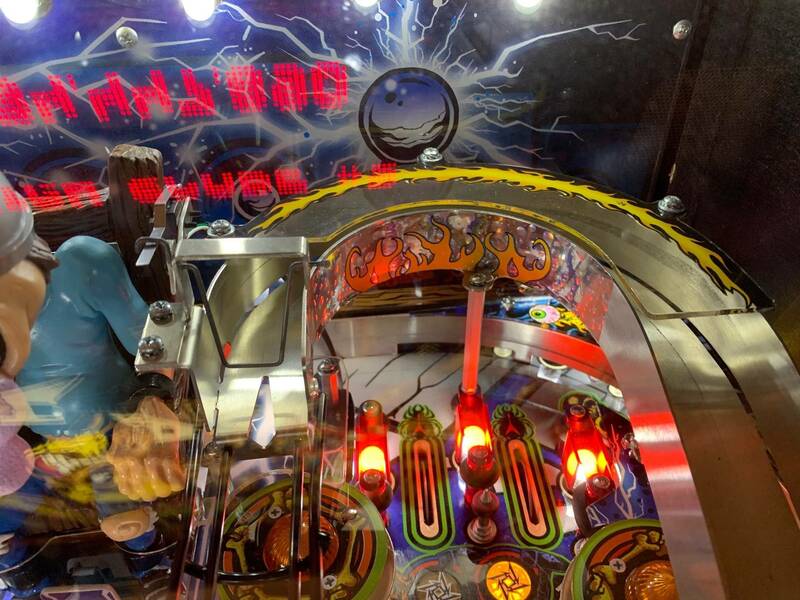 If the spinner is wired to the nearest pic target switch, I s'pose I would score a dozen hits to that one pic target. I don't know how the code would handle that. I s'pose it would ignore it after the first hit is tallied. I must be missing something. Please clue me in. Nope. You understand it right. Just imagine hitting that pic a bunch of times. Game should have had a spinner from the factory on the pro. No issue with anyone adding spinners to a pro but I do have an issue with it affecting gameplay as described above. How much would it of cost Stern to put spinners on pro? Doubt it would of been more than $20. Irritating that Stern just strips of inexpensive features so they can charge like $2000 more for premium. You bought the wrong balls. You didn't read the part where ball baron clearly states his super shiny balls are not meant for games with magnets. Spinners sure do make the orbit shots more fun, especially when you can rip a good super spinner shot on the Pre/LE models. Met pro + Spinners + TLS mod means spinner sounds, without scoring or pic target changes. It's the way to go IMHO. Agree to an extent, over $600 Canadian to do it all and probably closer to $700 if you get hit with duty and taxes. You have to really love your MET to invest that into it because you are never getting that back out when you resell. People don’t pay full pop for mods. Anyone know where I might find the simple Cross insert mask mod that was offered in the Classifieds section here for a while but is now gone? The mod is a simple mask or frame that mounts to the underside of the PF beneath each Cross insert, stopping the lamp bleed that is visible otherwise when the Cross insert is lit, etc. 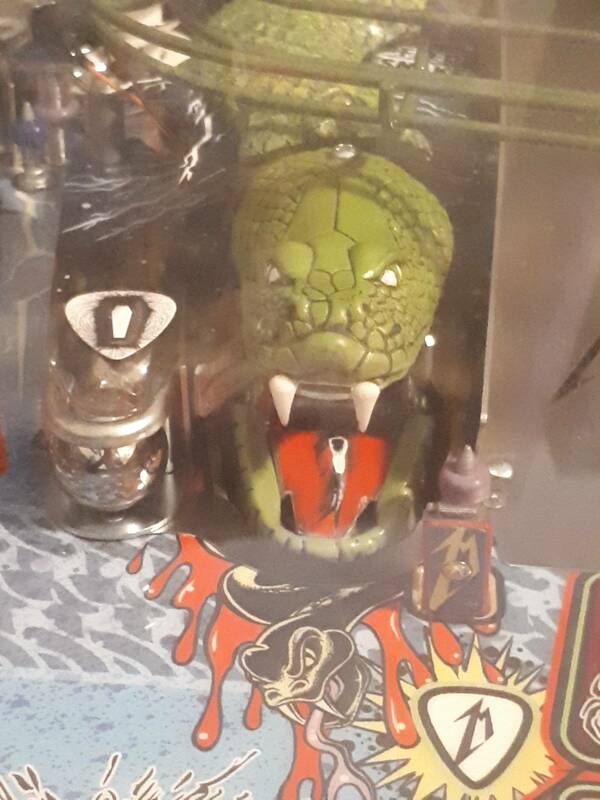 I believe it came as a set of several masks and cost c. $25. 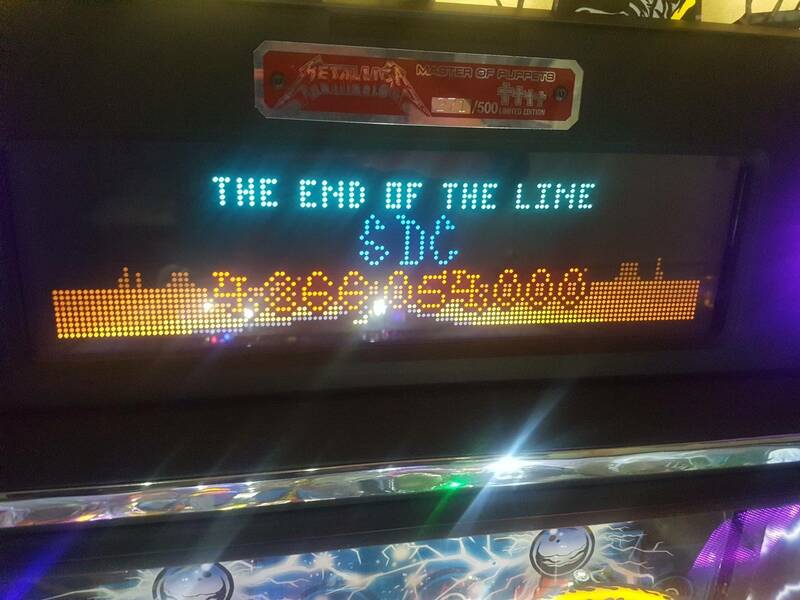 I just sold my Metallica so I guess I’m out of the club. I had a great 22 months and who knows maybe might rejoin in the future but it would have to be a premium. Side not on randomness of duty fees. Any packages I've received from Mezel or pingraffix have never had any duty fees attached to them. That should be some sort of quintuple jackpot!! 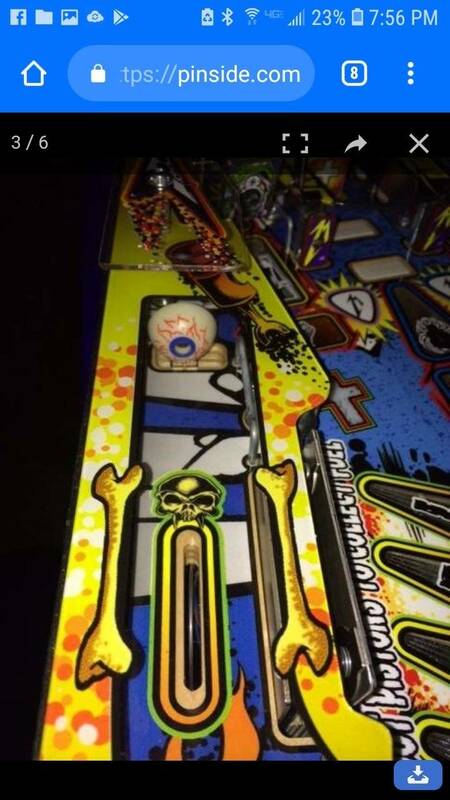 I'm just curious how he got 4 balls during graveyard multiball. I know you can add one ball by hitting picks then the snake, but that would make it a 3 ball mulitball. 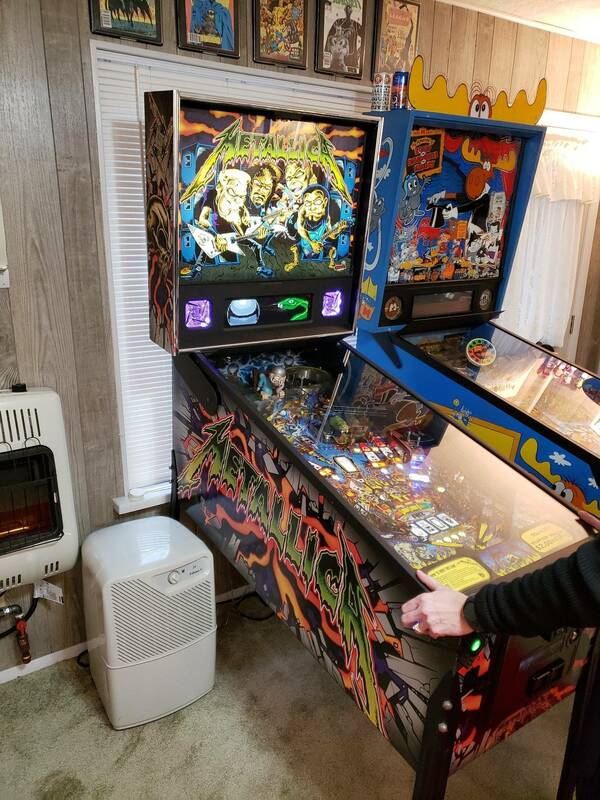 I guess it might be possible to start coffin multiball then stack graveyard multiball on top of the coffin multiball. 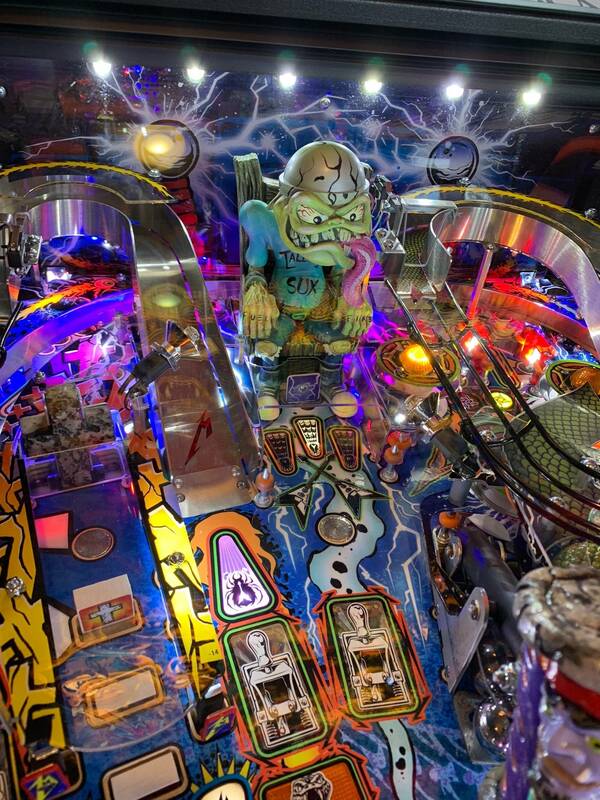 I guess it might be possible to start coffin multiball then stack graveyard multiball on top of the coffin multiball. Yeah, I think that's the only way. 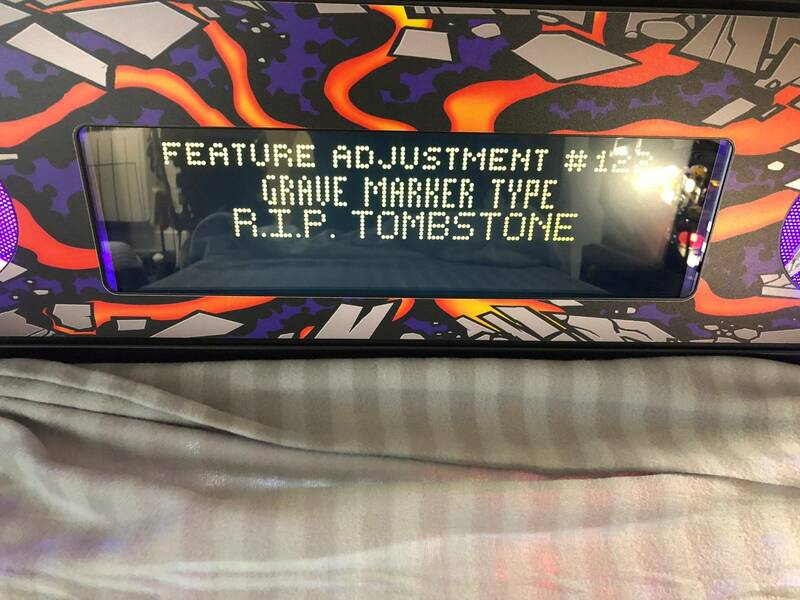 FYI - a UK machine, with a standard Cross-shaped tombstone, defaults to Crosses.